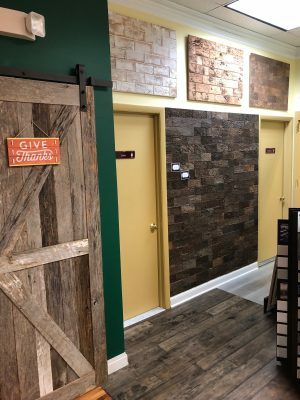 Wall Covering displayed at Westwood Flooring & Design Center in Wilton, CT.
We have added a new Wall Covering design that we’re calling “Brick”. We stock it in Natural, White and Black. It can be stained or painted to create exactly the look and feeling that you want. This product is unique, attractive and because it’s cork, also offers sound and thermal insulation. For more information, visit this page, give us a call or use our contact form. We’d love to tell you more about it.